My most worn fashion item of last year is probably the Longchamp Le Pliage bag that I have reviewed here. 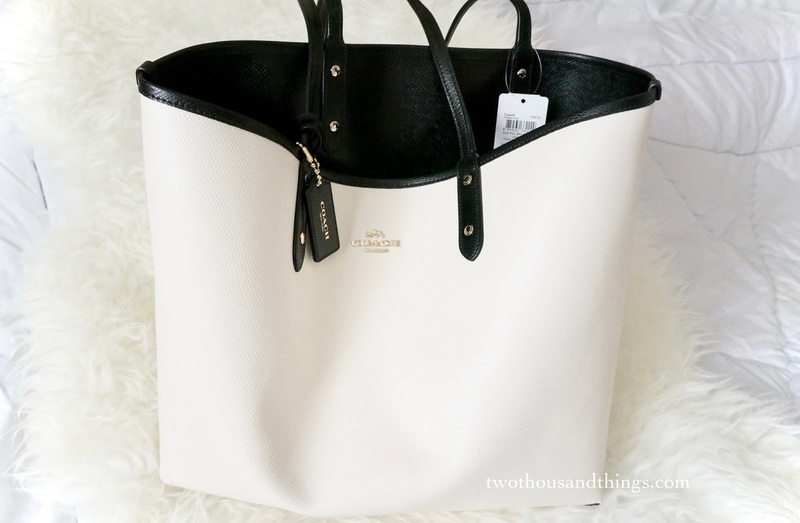 I've heard many great things about the Longchamp Le Pliage tote bags and I had the opportunity to own one (thanks to one of my blog sponsor), and I cannot stop telling people how they are indeed a very great bag to own! Mine is in Large size with long handle (LLH) in Gunmetal color (which is basically a grey-ish blue shade according to my eyes). I basically worn that bag all through the year until it looks kinda tired by now, Lol. That's how frequent I wore it. And it's still going on strong! 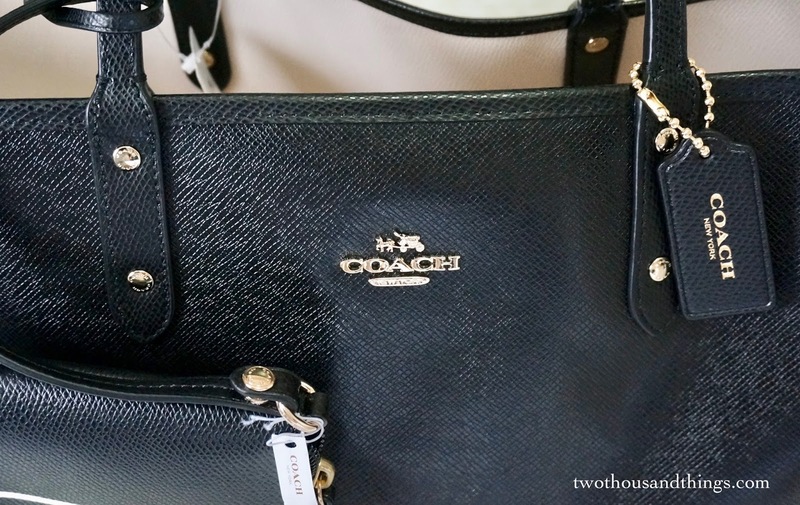 I wore it almost everyday because it is such a versatile bag. The shade I chose is pretty neutral color to be worn everyday, and it makes it easy to mix n match with my daily casual outfit. I can wear it with jeans, shorts, skirts, dresses, basically everything. The high grade nylon material of Longchamp bags are also known for their super durability, so my Longchamp Le Pliage bag has gone from hot summer days to wet rainy days, even a heavy storm once! It also has sit on dusty surfaces, on hardwood floors, on a damp fishermen boat, and on top of very dirty sand-filled luggage on a back of an island car. And it survives it all! (^_^). 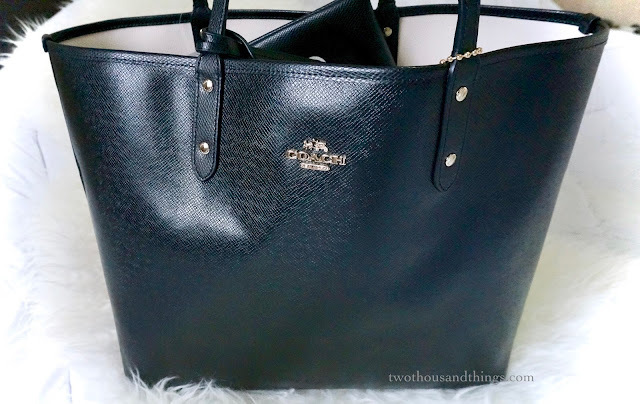 With the success story of my Longchamp Le Pliage large tote bag I was afraid I would ruin it before it gets old because of my frequent wearing. I already seen a few signs of usage in my Le Pliage and I don't want to push it even further, so I thought it was time to get another versatile bag like the Le Pliage. I did bought another Le Pliage tote bag but it was the small size with short handle. And I needed another large tote bag. It was a coincidence too. I wasn't actually planning to buy this bag when I first saw it, but at that time I just lost my dear father and I was sad and was feeling depressed for days and days..., until my hubby (blessed him for his good heart) tried to cheer me up by offering me to buy a new bag to help my mood turn brighter a little bit. So this bag was actually a gift from hubby and I will cherish it because it has many memories behind the purchase. 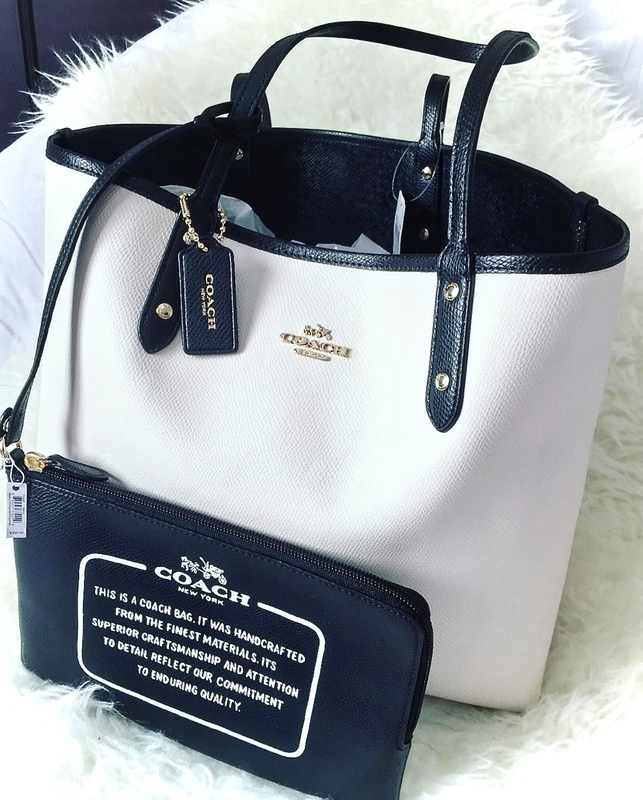 Anyway, I needed a new big-size tote bag that I can carry for daily or weekend errands (that I can use alternatively with my Le Pliage so I don't abuse it too often), so I purchased this Reversible City Tote Bag from Coach which I saw a couple times online before I finally purchased it. 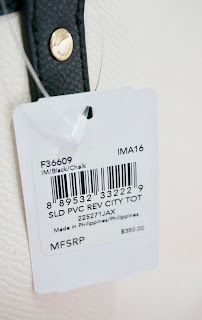 The price was also very good because I got it during the sale season so it was less expensive (even now I still couldn't find store that sell them even cheaper than the price I paid for). So I thought I got a really good deal and I couldn't passed up the deal. 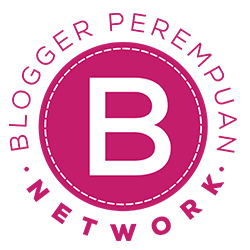 So here is a thorough review about the bag incase you wanted to buy the same bag and looking for the review. 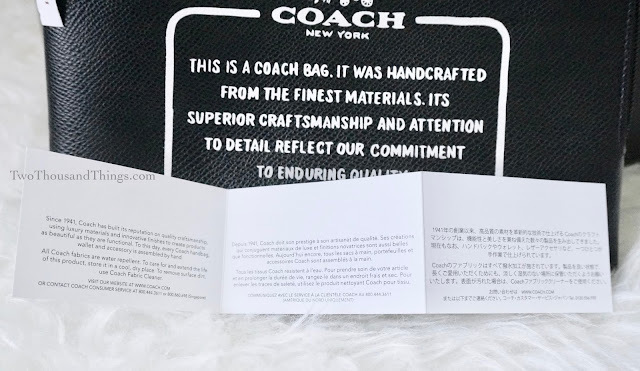 When I first purchased this bag there were not many store (online or offline) that offer this bag because it was a new type. 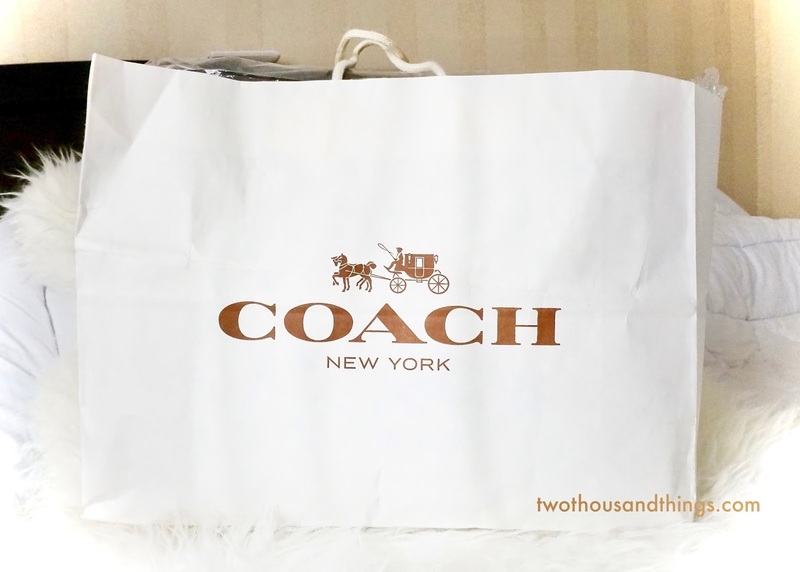 But now I see them around in many local online store and bag boutiques that sell genuine designer bags, so I thought I'll write the review here for those of you who are looking to buy this particular bag (just make sure that you buy the original Coach bag, okay? ;p). 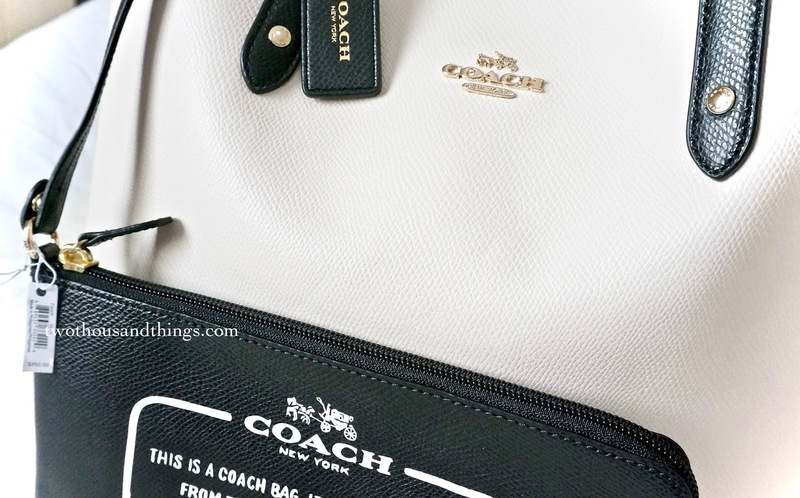 This bag's official name is the Coach Reversible City Tote Bag. Mine is in Black/Chalk color. The size of the tote is big and large, and I believe they don't come in different sizes, only one size. It is overall a big tote bag, with a very big opening at the top. The bag has no zipper on top so it's an "open top" bag. 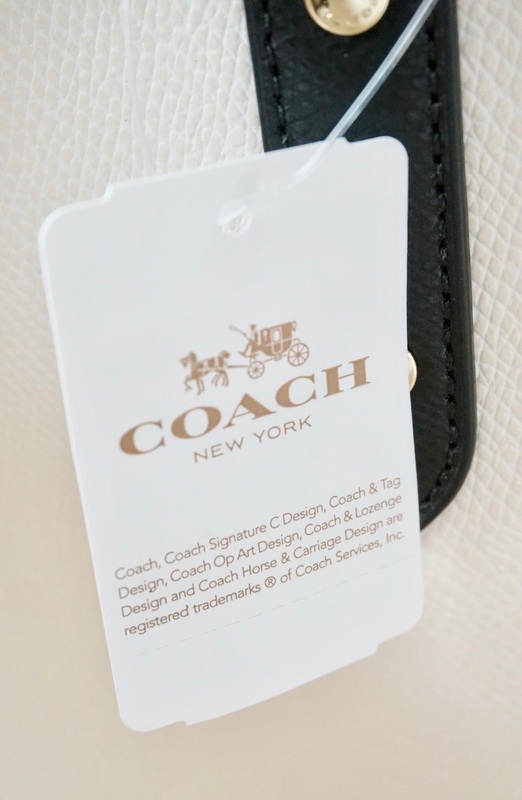 There's no pockets, no style design or anything except for the Coach logo and a small tag attached at the handle. Inside it you will find an extra large detachable pouch that you can also carry as a stand-alone pouch/clutch ! So I personally think that it's a great idea to purchase this bag as you will get to wear it in 3 different styles. It came in many different color combinations and patterns. Mine is in the Black/Chalk color with a solid pattern (meaning: it has no pattern). I've seen other variations with patterns such as the signature pattern, a floral pattern, a leopard pattern, etc. 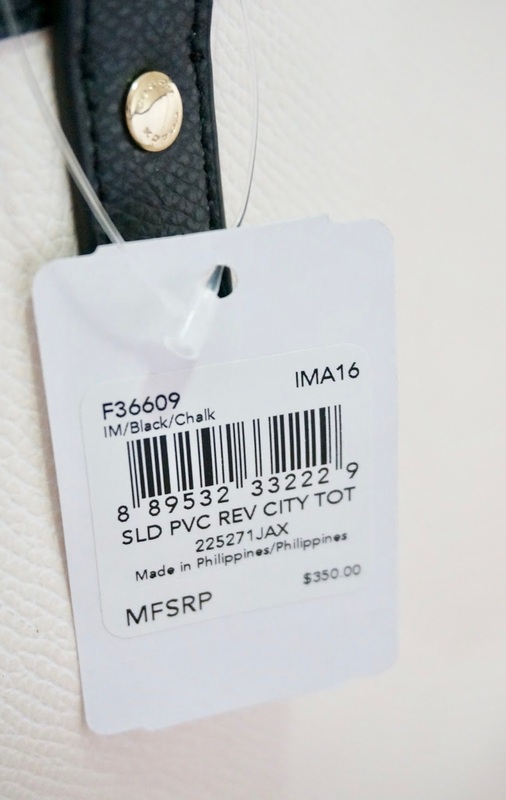 The material of the bag is like a pebbled / cracked leather. It's the one that looks like the skin of orange fruit. The bottom is structured enough so it can sit but the rest of it is a little bit flexible and lithe. The style though, is very simple and a bit blah, because it's only a solid colored tote bag with no pocket on the inside. 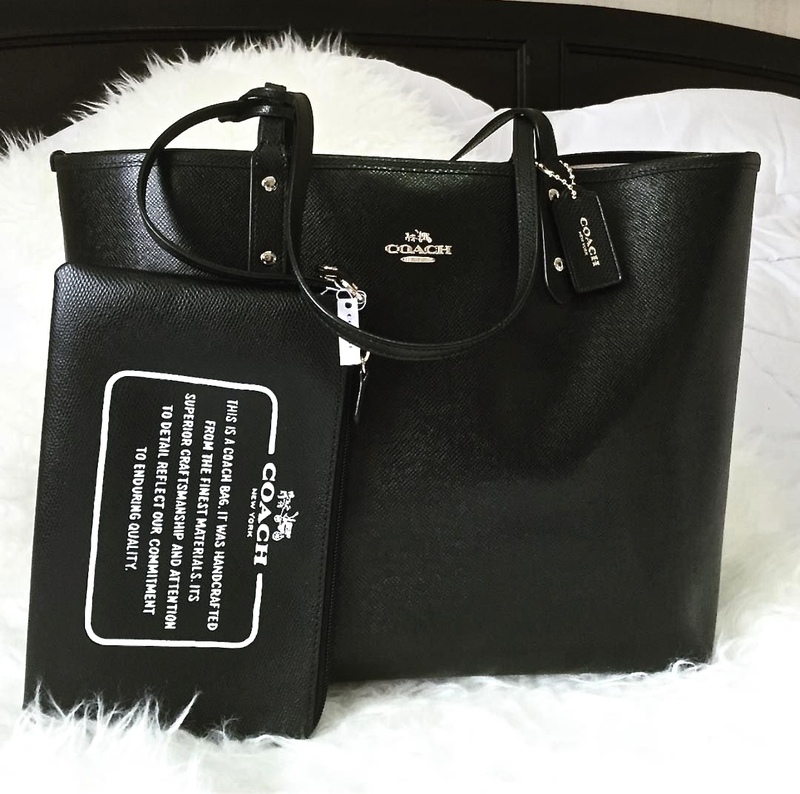 There are no variations or extra details on this bag, you'll get a very basic tote bag with no pockets and basically no style. 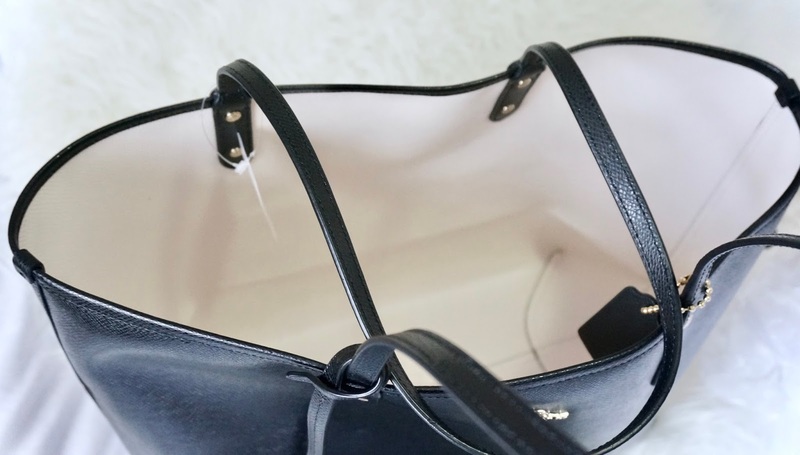 The size of the tote bag itself is almost similar as the Longchamp Le Pliage tote bag in large size, but this one has no zipper on top so the Longchamp is safer to use. 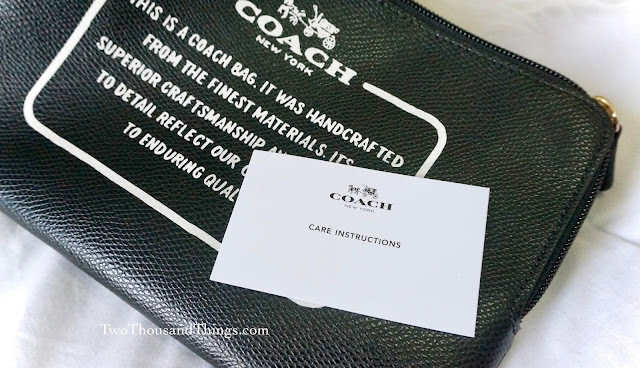 So every time I use this Coach tote bag in a very busy place I must remember to keep it close to my body so that no one would try to pull out anything from my open top bag. My LV Neverful tote bag also has an open top but that one has a hook system near the top opening so I can hook it to make the opening smaller, hence making it a little bit safer from potential thieves. But anyway, I do love how big it is because I basically can put anything and everything inside this bag. The only flaw is it has no compartments so when I put in all my things inside it would be a little bit harder to try find the item afterwards. Usually I would put my items into different smaller pouches so it would be less messy inside my bag. 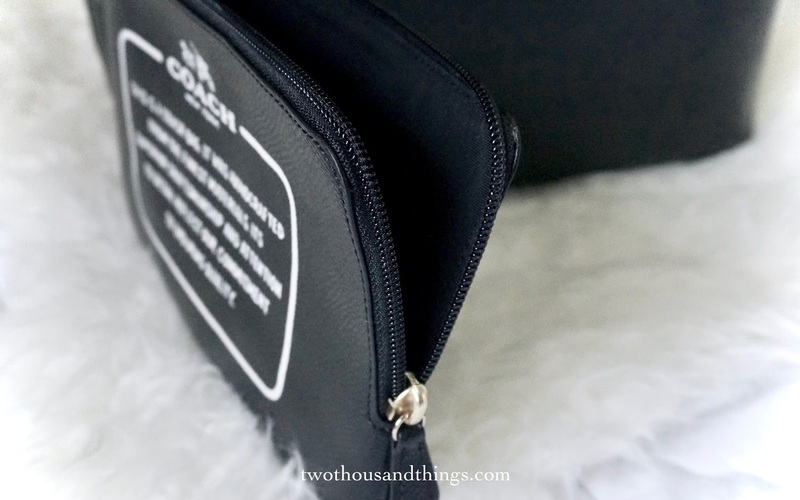 I would also use the detachable pouch it came with to try organize my things inside the bag. Another thing I love about this bag is the reversible effect. I'm the girl who always love to dress up matchy-matchy, so when I travel or when I have a stay-over and need to change outfits this bag would be on top of my choice. Because I can just bring one bag (this bag) and it would match every outfit that I plan to wear during my trip. Oh and one thing to note, reversing the bag from one side to the other was actually not that easy. The texture and material of the bag is rather thick and a little bit stiff so it's not that easy to reverse it. And I also don't wanna damage the bag if I reverse it too often so I try not to reverse it frequently. 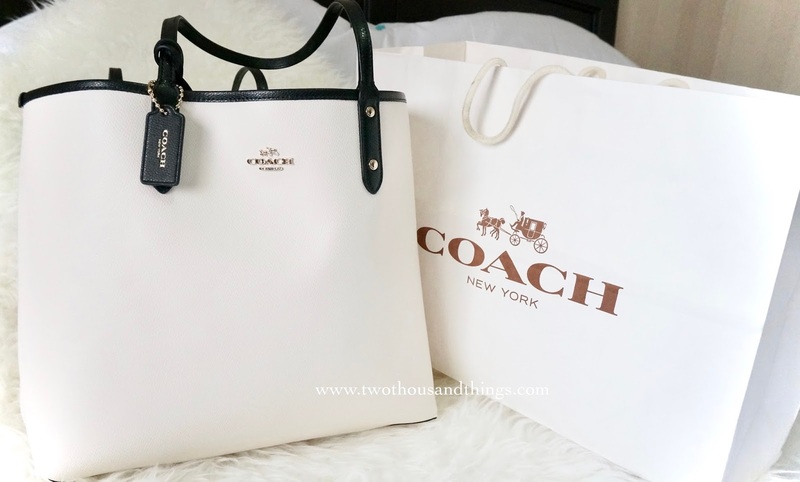 The price for this bag is on the lower range of designer bags price level, and I would say that it is a bargain considering you will get two bags (because it's reversible) + 1 Coach pouch in one price. That's it for my review. 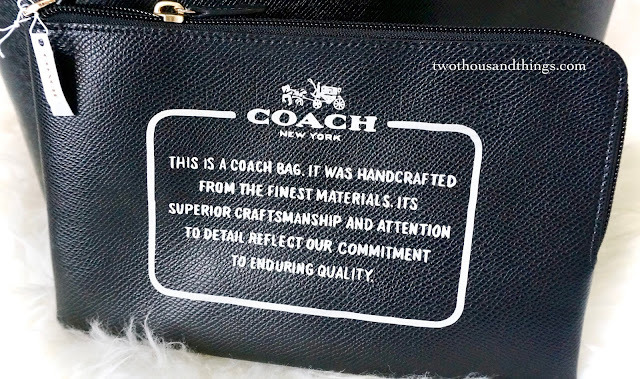 If you like these kind of reviews just let me know in the comment below, and I will try to make more designer reviews like this because I know how important it is to research first before buying things like this. I don't have lots of money but I always try to save some money towards buying the things on my wish list, and when I finally accumulated the money I would usually do a heavy research before deciding to buy. 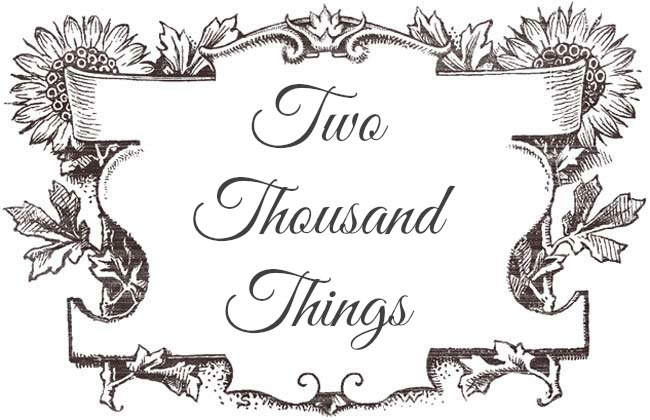 So that was my intention when writing reviews like this, so I can offer more knowledge that could be useful in helping you decide whether or not to get a particular designer item (because I know they're not actually cheap and we have to weigh in first and think thoroughly before deciding to buy them). I also include some pictures from when I first got the bag so you'd know how it would look like when it was fresh from the store. I hope this review would somehow help you decide, especially if you're looking to buy the same bag. 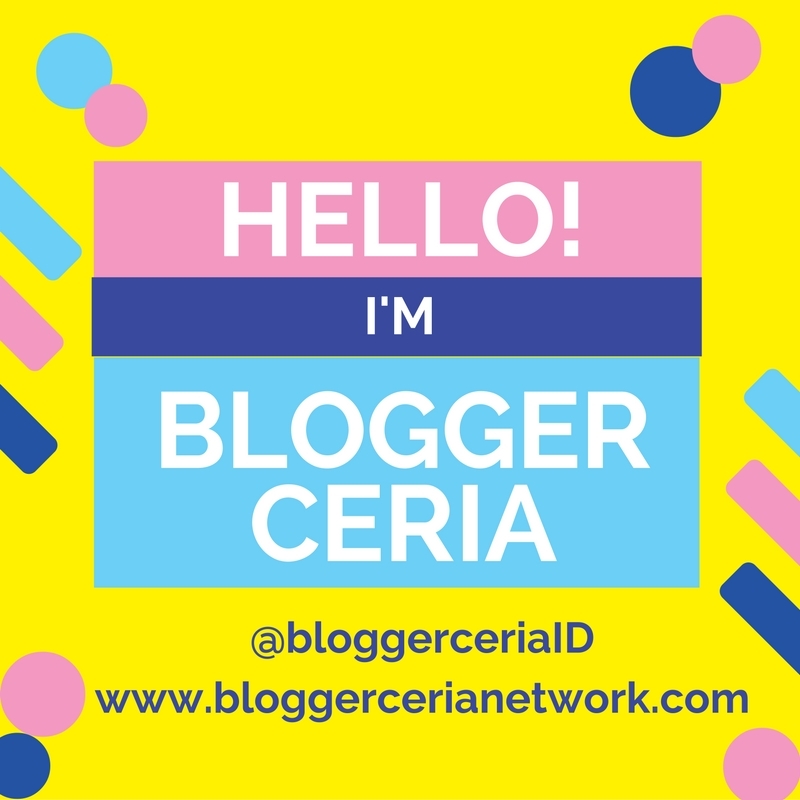 Meanwhile, thank you so much for reading my blog! This is a great bag! How is it holding up almost 2 years later? I just got a red one and love that it has the attached pouch. It was so hard to reverse it, but that's a nice feature. Thank you for sharing about the bag.